What does innovation in healthcare look like in 2016? At its core, it involves finding ways to create better health outcomes by elevating the patient experience and eliminating systemic inefficiencies. 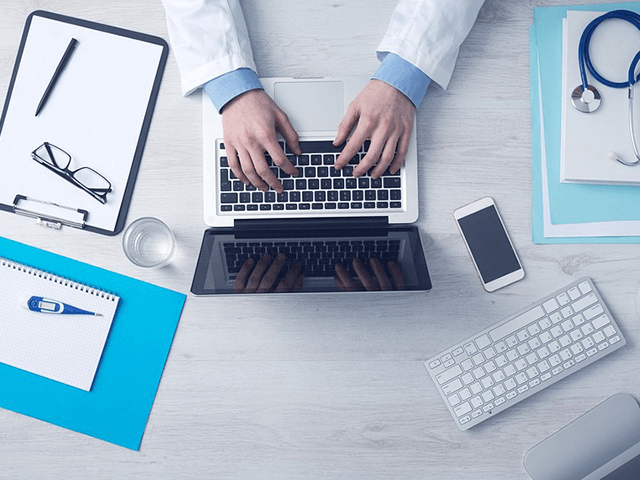 The exponential rise of medtech and the digitization of medical systems seem to have provided us with myriad sleek and modern ways to innovate operations at both the administrative level and the point of care. But can cutting-edge technology alone improve health outcomes? Historically, the process of funding, developing, testing and integrating new technologies into the healthcare system has been an arduous journey. In an effort to promote and optimize the adoption of new technologies, the Ontario Ministry of Health and Long-Term Care established the Office of the Chief Health Innovation Strategist (OCHIS) in 2015 with a mission to empower Ontarians in their pursuit of wellness through the integration of new devices and digital health tools. On the one hand, OCHIS is proof that the province is making strides toward reducing the barriers to adopting disruptive technologies in the health space in an effort to improve the patient experience and modernize health data infrastructure. On the other hand, these technologies will only improve patient care and health outcomes if they are deployed correctly. Little good can come from injecting new technologies into a system fraught with physical, socioeconomic and technological barriers that complicate or prevent access to care. The effectiveness of new and innovative technologies will be determined by how well we understand patient behaviours and the nature of patients’ interactions with service providers. Patient information has been and continues to be collected through traditional public health data sources, including hospital administration departments, health surveys and clinical trials. These sources are all small pieces of the province’s well-established but inefficient public health monitoring infrastructure, where public health data is collected at the institutional or local level and then transferred to a regional authority before reaching a central, nationwide repository for aggregation and analysis. This process is slow, costly, limited by responder bias and surprisingly fragmented. Ensuring that valuable health data with high potential to influence and inform policy is not lost outside of or within the system is of paramount importance. Is there a better way to gauge and react to public health needs? The answer lies in using non-traditional data sources to address the gaps in our current public health monitoring efforts. Non-traditional health data is any relevant information gathered from sources outside the scope of current data collection methods. These sources span a wide spectrum, from position-based activity patterns collected by smartphone accelerometers and e-health apps to aggregated metadata from social media platforms that reveals emerging trends across much larger geographic regions. For example, app-based self-reported information on prescription drug consumption and nutritional intake has been analyzed to obtain a view into patient compliance and use patterns, as well as into chronic disease management aptitude in between visits to frontline healthcare practitioners. As prices fall and technologies improve, devices and apps may completely replace physical visits to healthcare practitioners in the near future. Devices and apps measuring or recording exercise levels, sleep patterns and mood have been used to gauge emergent behavioural patterns and lifestyle practices, directly empowering users to track their own health metrics and share them with professionals. Although self-reporting requires diligence and effort from users, the relatively seamless integration of these technologies into everyday life enables them to produce data with greater fidelity, speed and volume than traditional collection and reporting methods. The integration of these tools and platforms into public health monitoring, coupled with the use of associated data, has the ability to supplement and improve capacities to track emerging health trends. Furthermore, social media platforms can be used as both monitoring tools and non-traditional methods of increasing patient engagement as they allow healthcare professionals to interact with populations that under-utilize services. Launched in 2013, Foodborne Chicago is a Twitter-based project created by Smart Chicago and the Healthy Chicago initiative that mines tweets for indicators of possible food-poisoning incidents. Users with likely cases of food poisoning are subsequently contacted by Foodborne Chicago and encouraged to file a complaint with the city. Driven by user engagement, the project has filed 443 food-poisoning reports and has resulted in an additional 200 restaurant inspections. The project is simple, inexpensive and impactful, and it offers city employees a chance to familiarize themselves with an iterative Twitter algorithm. More advanced commercial and academic models feature parsing algorithms that are capable of combing through tweet metadata and geotags that can be fine-tuned to produce more precise results over time via input from machine-learning programs, constantly improving natural language processing tools and manual feedback from human users. The creation of analogous studies in Canada would not only produce useful data sets on chronic disease and behavioural patterns, but would also allow for more effective forecasting in a timely and cost-efficient manner by using predictive modelling based off of peer-to-peer health data mining. Non-traditional data sources need not be synonymous with big data or complex technology. Connecting healthcare leaders with previously untapped community collection hubs, like rapid mobilization teams, will play a major role as monitoring becomes increasingly decentralized. In a community engagement pilot project originating in Scotland, rapid mobilization teams comprised of representatives from local police organizations, social services and education services meet on a regular basis to share information on independently identified cases of individuals at high risk of harming themselves or others. If a case is recognized as high risk by multiple community agencies, the team formulates a timely, coordinated intervention with the goal of minimizing or preventing harm by connecting the identified individual(s) to the appropriate services within 24 to 48 hours. If scaled to more communities, the act of leveraging these existing resources to identify community-specific barriers to care and to connect at-risk populations with relevant services would be a highly impactful, low-tech practice with the potential to beautifully supplement existing monitoring efforts and improve community health outcomes. Data from non-traditional sources has the ability to provide public health agencies with a more detailed and less episodic view into community health needs, while also offering the responsiveness and scalability that are currently lacking in many traditional reporting methodologies. Better needs assessment and market research will facilitate a more effective implementation of Ontario’s exciting new medical technologies. Despite its incredible potential to improve healthcare outcomes, the use of non-traditional data sources would introduce a series of important legal and privacy considerations. For instance, what types and volumes of data can be recorded and used? What will informed consent look like? What sort of anonymity policies will be established? How can we prevent the abuse of sensitive data? These questions—and many more—are sure to become prominent in public discourse as monitoring efforts become increasingly digitized. The successful adoption and application of disruptive technologies will depend upon Ontario’s ability to match needs with solutions, a task for which an advanced public health monitoring system is imperative. Detailed information from fitness wearables, social media analytics and community hubs will not elevate public health monitoring on its own. Such information must be combined with the specificity, credibility and reliability of data from traditional sources if it is to pave the way toward better health outcomes. In an era of unprecedented population shifts, technological growth, interconnectivity and interdependence, the collection of timely and informative data is crucial if we are to develop forward-thinking public health policies that put patients first.